In case you missed it there is a new Hud foreclosure near Dyersburg at 950 Lexie Cobb Road. This is a 2 bedroom 1 bath brick home priced at $69,500. 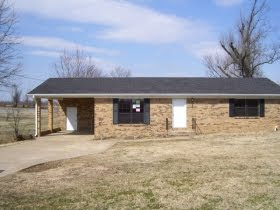 Here is a link to the info for this Dyersburg Hud foreclosure. Call me or one of my team(731-285-2277) to help you with the viewing and purchase of this Dyersburg foreclosure. How many Dyersburg foreclosures are left?